The weather isn’t always the best indicator of spring in the Pacific Northwest. So I have my own personal signs that the season has begun. The first is when I see a pair of tennis shoes strung of the overhead wires – I wish I could see the teens while they attempt this fete. Second, is the smell of backyard barbecuing and my third tell is the start of neighborhood parades. Parade season, if you will, has officially launched. Yesterday we watched the Daffodil Parade as more than 100 entries walked, marched, danced and played musical instruments along the parade route on Main Street in Sumner. This parade is the only one in the country that travels to four different cities on the same day. First, the parade travels along Pacific Avenue in Tacoma, then it moves to Puyallup, from there to Sumner and the last leg is in Orting. 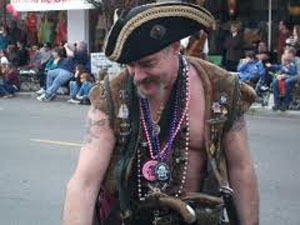 Clowns, pirates, horses, cars, bagpipers, marching bands and buses filled the streets of the different Pierce County communities to the delight of children of all ages. Parade entries came from as far as Penticton, British Columbia and Astoria, Oregon. 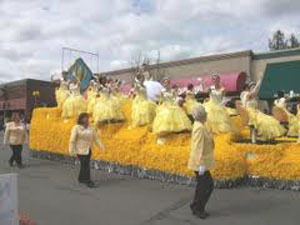 Of course, as the name indicates, the floats were adorned with bright yellow daffodils and daffodils were passed out to the parade goers. The festival atmosphere almost has to make you smile. Does your community have a unique parade? I would love to hear about it. 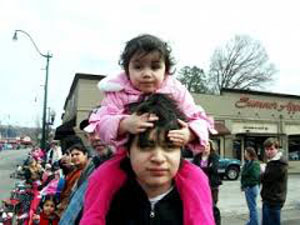 This entry was posted in Family Fun, Free, Seasonal, Towns, Uncategorized and tagged Astoria, Bellingham, Blaine, Burlington, Capital Lakefair, Daffodil Parade, Everett, Lynden, Main Street, Olympia, Oregon, Orting, parades, Penticton, Pierce County, Port Townsend, Puyallup, Rhododedron Festival, Sedro Woolley, Ski to Sea, Spring, Sumner, Tacoma, Tumwater, Washington State Apple Blossom, Wenatchee on April 11, 2011 by admin.